It would seem that the electric bike market is a very crowded space these days. Every time you turn around there’s another company popping up with their latest entry into the e-bike arena. Heck, there’s even a website out there devoted strictly to reviewing e-bikes and they’ve covered hundreds of models. As an outside observer of this genre of transportation, we can honestly say that most of what we’ve seen so far hasn’t caused the Excite-O-Meter’s needle to move much on the dial. The off-road variety tends to dominate the market and many of the other models are left lacking in style and design. Our outlook on e-bikes made a 180 recently when we laid our eyes on Ruff Cycles latest offering…the Ruffian e-bike. 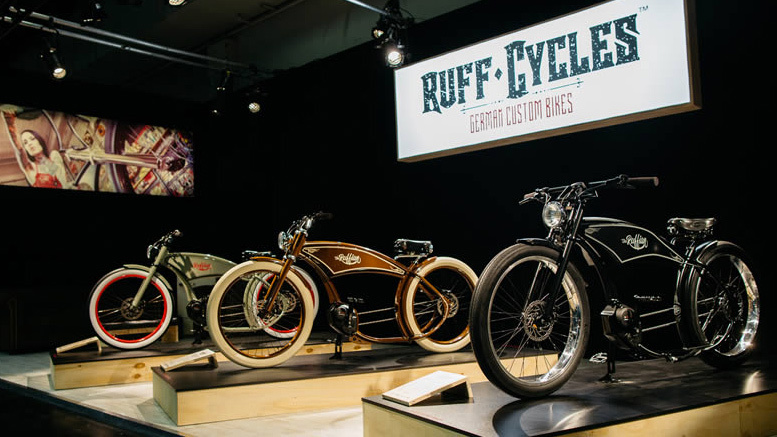 Ruff Cycles is a German company that specializes in creating top quality custom cruiser frames and components. They manufacture their own frames in-house and have gained a great reputation over the past several years in the custom cruiser market. Company founder Petar “Pero” Desnica is obsessed with making sure his company is putting out the best product possible and being able to say that it’s made in Germany is also very important. 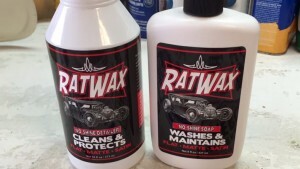 If you’re like us…you looked at the photo of the black bike above and said to yourself….man, they really nailed it. They are one of the first companies to conceal the battery in a way that flows perfectly with the frame design. No awkward rectangular box strapped to the downtube, no ugly canvas bag hanging off the bike, just a beautiful flowing tank that is reminiscent of the great motorcycles of the early 1900’s. The use of the Bosche mid-drive motor is also pleasing to the eye and gives the bike a cleaner look over using a big clunky hub motor. Everything about this bike screams quality, style and class. 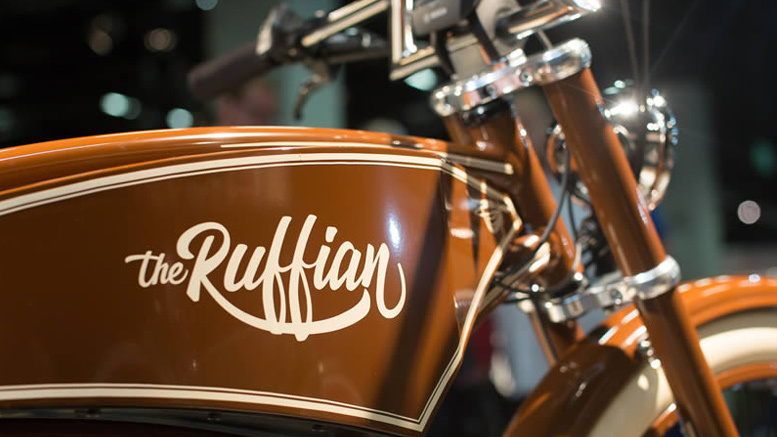 Ruff Cycles recently unveiled the Ruffian at Intermot 2016 in Cologne, Germany, a major European motorcycle exposition and the response was overwhelmingly positive. 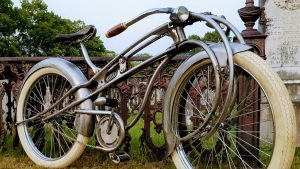 Pero said that there were groups of people surrounding the bikes just staring and admiring the craftsmanship. He asked if they had any questions and many responded by saying they were just amazed by how nice they were. The more you look at the bike, the more details that you find that make you smile. The company has a good start on preselling many of the first 500 bikes which will be shipping to the European market in March 2017. The U.S. will be in their sites later in 2017. They will be available in three different color combinations…gray, black and brown. All bikes come with the Bosche Performance Line CX mid-drive motor, Bosche Performance CX 250W (75Nm) battery, Shimano Alfine 8 speed hub and Shimano Deore Hydraulic disc brakes. The retail price on these is around $6,000 which isn’t chump change, but is right on target with other e-bikes of this caliber for sale today. 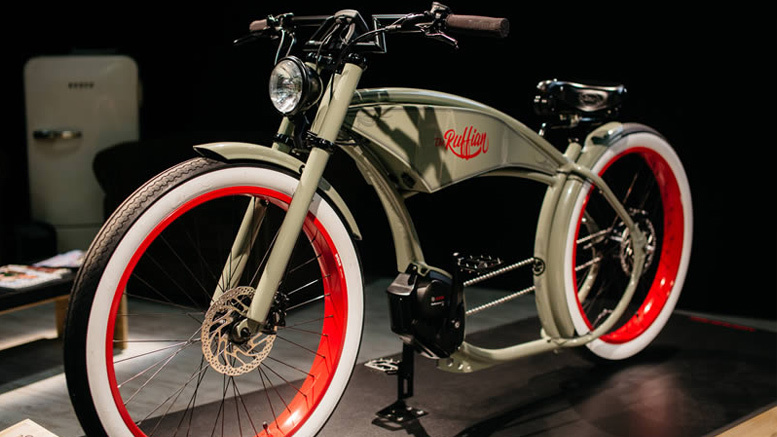 While it’s true that electric bikes of this level aren’t within everyone’s budget, we’re just happy to see that Ruff Cycles is putting the stake in the ground and showing everyone that you can build a gorgeous looking product that is extremely useful and fun to ride too. We look forward to seeing more innovations like this coming from our friends in Germany and can’t wait to see and test ride a Ruffian in the near future. Click here to find out more info on this bike and the great company behind it. 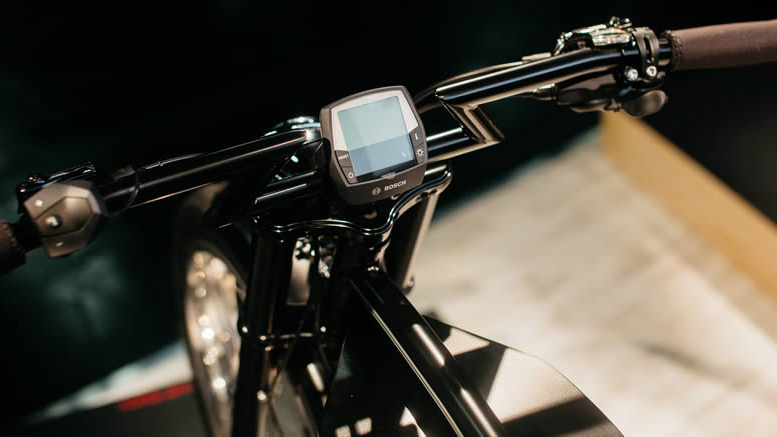 THE RUFFIAN IS COMING TO NORTH AMERICA – THE FIRST EBIKE CHOPPER WITH BOSCH DRIVE DREAM EBIKES HANDCRAFTED IN GERMANY. RUFF CYCLES STARTS DISTRIBUTION OF EBIKES IN NORTH AMERICA. RUFF CYCLES from Regensburg, Germany, has established itself as the biggest brand for high quality custom bicycles, frames and components. While constantly innovating its product portfolio and services, RUFF Cycles created yet another big splash with the launch of its first eBike, “THE RUFFIAN“, in October 2016 at one of the world’s largest motorcycle shows, the INTERMOT in Cologne. Since then, THE RUFFIAN has attracted hundreds of bicycle-, eBike-, and motorcycle dealers, and will hit stores in Europe and Australia in March 2017. To better serve our customers in North America, RUFF CYCLES has opened offices in the USA and Canada. “We are excited to announce this step of launching operations in this important market. 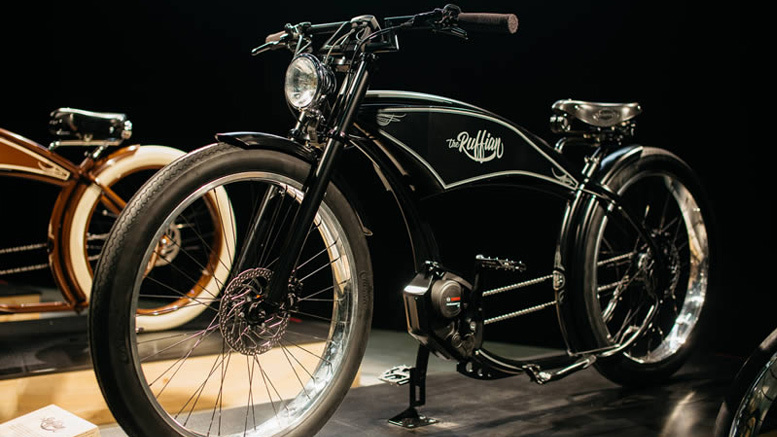 THE RUFFIAN is particularly suited for North America’s highly demanding customers for top quality products & services, performance and originality“ said Petar ’Pero’ Desnica, Founder and CEO of RUFF CYCLES. 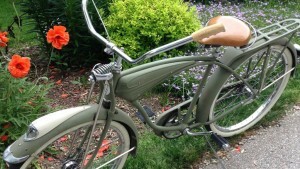 This timeless vintage-style eBike, based on an aluminum frame, is equipped with the latest Bosch eDrive technology. Mounted on Bosch Performance Line CX, THE RUFFIAN is the result of a “no-compromise approach” throughout the entire design process. “We wanted to create an eBike that expresses our passion. The result is a category of its own!” said Pero Desnica. THE RUFFIAN is adapted to meet regulations and preferences of partners and customers in the USA and Canada. The first deliveries in North America are scheduled to start in June/July 2017. “We are welcoming new dealers and customers to contact us now to check out THE RUFFIAN for themselves and to pre-order their RUFFIAN. It is a unique opportunity for dealers to attract new customers and to differentiate their store experience from competitors“ said Alexander Welbers, North America CEO. “THE RUFFIAN will change your perspective on eBikes, and bring back the pure joy of riding regardless of your playground characteristics” – Daniel Gelinas, COO – USA, Mexico & the Caribbean. Interested in custom cruiser bicycles, frames and components by Ruff Cycles? 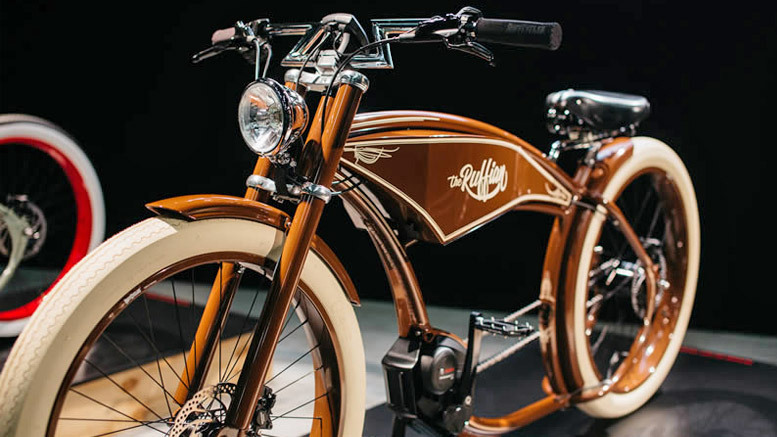 All Ruff Cycles products except eBikes will continue to be available through its distributor, the custom cruiser specialists Huntington Beach Bicycle Company (HBBC Inc.) and its dealer network. Very nice design! Glad to see the e-bike trend moving in a stylistic direction like the Ruffian. Bravo!